Born 1929 in Moscow. 1946 M.A. in English, Moscow Foreign Languages Institute. 1951 Ph.D. in American Literature, Moscow State University (MSU). 1966 second Ph.D. in philology, MSU. 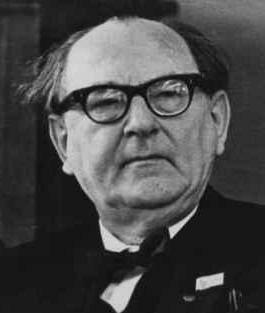 1951-1953 editor and translator. 1953 MSU Faculty of Journalism staff and free-lance journalist (Literaturnaya Gazeta). 1965-2007 dean, 2007 president. Lectures all over the world. 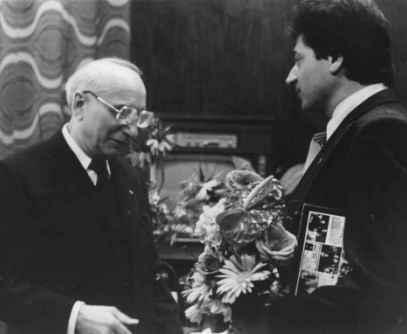 Lomonosov Prize, 1978. IAMCR Vice-President, 1968-1988. IAMCR honory member, 2007. Married, one son. His grandson Ivan Zassoursky is new media professor at MSU. Could you tell me something about your parents, please? My father was an engineer in building and construction. My mother was a physician. Later in her career, she was mostly concerned with women’s illnesses and birth assistance. In the ministry which was responsible for roofing. As an expert in standardization, my father travelled a lot. He worked in the respective international organization, too. Is that the reason why you studied English? There was a special reason for this, yes. In 1939, as part of a Soviet delegation, my father went to the United States in order to study the economics and management of industry. It was the end of the third pjatiletka. In the Soviet Union, at that time it was clear that the extensive industry development was not enough anymore. There was a need for modernization. That’s why a lot of Russian engineers were sent to various countries, mostly to the US and Germany. My father spoke some German but didn’t know English very well. In 1939, he was at the World Fair in New York City. He wrote letters to me about the US, and I became interested in what was going on there. That’s the link to American literature. I decided to take English courses. After graduating from the Institute of Foreign Languages, I became a postgraduate researcher on American literature. My dissertation was on Theodore Dreiser. With the degree “candidate nauk” which corresponds to Ph.D. in a way, I worked as a lecturer at the Faculty of Journalism. I was invited to lecture on foreign journalism. I started that specialization at Moscow University. What about research at that time? I was pursuing my interests in American literature. I know many American writers personally. We had a group of Russian scholars who were meeting with American counterparts interested in Russian literature every year. How could a professor who was interested in American literature and global problems very early on survive in a faculty that was mainly focused on the training of party journalists? 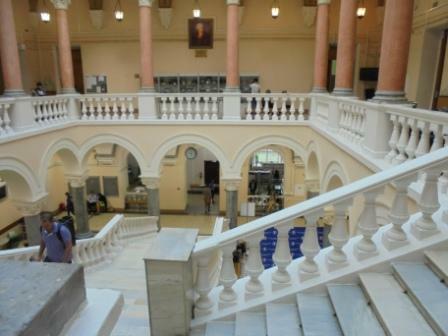 You must be aware that the faculty was founded as a part of the Faculty of Philology in 1947. Only in 1952, it was reorganized as an independent unit. After World War II, there was a great demand for young journalists. At that time, most Soviet journalists were trained in party schools. There were some university schools, too, but they were not numerous. The main part in journalism training was played by various party institutions. Our school was created to educate journalists who can write well and in an interesting, intelligent and persuasive way. Therefore, our school was different from party schools. How did you become dean at Moscow State University? Evgenij Khudyakow, my predecessor, was ill. When he died, I was elected the dean of the school. It was against my will. I was not interested in this office. I was a researcher in the field of American literature of the 20th century, a very important subject. At the latest after World War I, these publications began conquering the world. However, my colleagues insisted that I should take up the dean’s job. What about the party’s Central Committee? There was a kind of conflict. They wanted to have someone from a party school or with a certain party background. The faculty wanted to have a person of their own; a person who was representing this domain of research and teaching with a stress on language and creativity. I was elected because most of the professors wanted to go this way, though every Soviet journalist was considered to be a party person. At the University of Leipzig, it was different. Emil Dusiska, for example, who became dean in 1967 was sent from the Central Committee. Dusiska, yes. But Hermann Budzislawski was a real scholar and a very good journalist. He was the creator of the Leipzig school. Franz Knipping was very professional too. Emil Dusiska was much stronger on the ideological side than Budzislawski or Knipping. Evgenij Khudyakow, your predecessor as dean, is pictured as one of IAMCR’s founding fathers. Yes. And that’s true. He was in Strasbourg and participated in this. I was not there yet. Did he invite you to continue? Certainly. Before I became the dean, Khudyakow sent me to Paris to the UNESCO. IAMCR in Leipzig, 1974. Very left: Yassen Zassurski. Also on the display right of the interpreter: Emil Dusiska, Werner Michaelis and Alice Bunzlova (Prag; source: private archive, Werner Michaelis). Which year we are talking about? I think it was in 1956. It was my first trip outside the country. I had to act in Khudyakow’s place when he was ill. I had to take decisions too. The rector supported me, Ivan Georgevich Petrovskij, a mathematician. The UNESCO commission of the Soviet Union did name me to be a UNESCO scholar. So, I was sent abroad for three months to visit various institutions and to get awareness of what is being done in this field. I was in the UK studying the British union journalism schools and visiting media owners and editorial offices. I also went to Edinburgh and to Germany. In Berlin, I met some of the professors. In general, it was very open and friendly. It was still the time after the death of Stalin. People were relaxed. The editors, the journalism teachers. Most UNESCO people were not pro Cold War. Actually, there was one BBC editor who was frightened by every Soviet person but also ready to talk. Most of the time I spent in France. In Paris and in Strasbourg, yes, at the International Centre for Higher Education in Journalism where I became a member of the council. 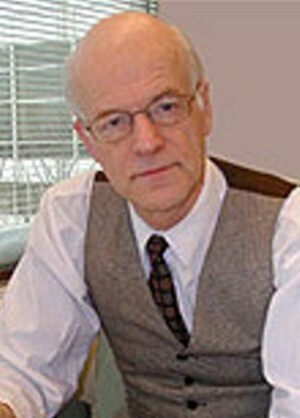 Jacques Léauté, the director of the centre, invited various experts in the fields of journalism and journalism research. He was a lawyer who was interested in the problems of the freedom of the press. 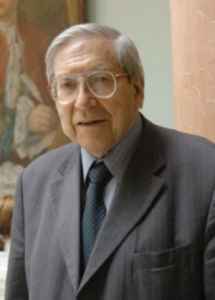 From this point of view, Léauté was very fine for this institute since he was developing an international approach. I don’t know any other UNESCO person who did as much as he did in the journalism field. I was in touch with him until he died in 1994. Did you have any visitors from the West here in Moscow before your first UNESCO trip? A few but not very prominent. One of the first to come was Raymond B. Nixon from Minnesota then. He was instrumental. He created the atmosphere of trust and mutual respect of the IAMCR. Later other people from the US and France visited Moscow. Certainly, Léauté was here. What about your Eastern European colleagues? Vladimir Klimes from Prague was very active. He and Mieczyslaw Kafel from Poland were absolutely no hardliners and also very open to contacts. 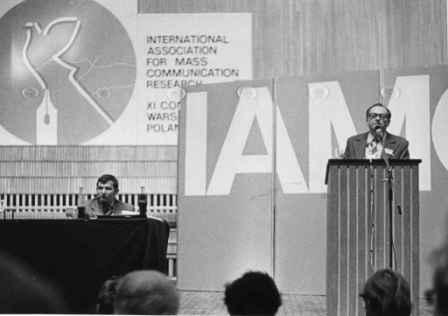 IAMCR 1978 in Warsaw. Emil Dusiska (left), next to him James Halloran (Leicester; source: private archive, Werner Michaelis). There was Franz Knipping, Leipzig’s dean in the mid-1960s. A good educator. Unfortunately, he was replaced by Emil Dusiska. That was not good for the school. It actually damaged it since the educational concept of Budzislawski got lost. Budzislawski was a friend of Tucholsky and an anti-fascist. That’s why he was important for me. He was very strict and negative to any opening attempt. His favorite saying was, ‘In the West, the blind educates the naïve’. Perhaps he was not an absolute hardliner but his liberalism was superficial. But he had to listen to you coming from the great Soviet Union. Anyway, he didn’t like everything what I was saying. Emil Dusiska 1979 at his 65th birthday with Karl-Heinz Röhr (left, source: private archive, Karl-Heinz Röhr). What about IAMCR and Dusiska? He was hard working as the secretary-general but couldn’t change the organization. I also remember Hans Modrow from the East German party’s Central Committee. He was in charge of the agitation section from 1971 to the end of 1973. Sometimes, Modrow participated in our internal meetings. After Dusiska, we had Tamás Szecskö from Hungary, for example, a very good researcher and journalism teacher. 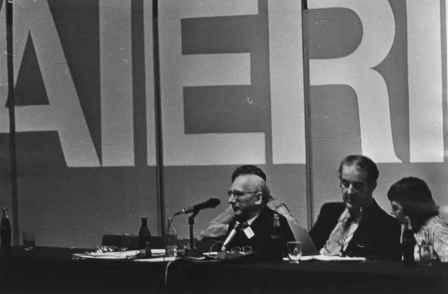 Dusiska hosted the 1974 IAMCR conference in Leipzig (cf. Meyen, 2014). He got a lot of money, yes. It was a good conference. Dusiska also succeeded in inviting good people from all over the world. Unfortunately, in the GDR he didn’t promote scholars with broader world views such as Lothar Bisky and Wolfgang Kleinwächter. On the contrary, the party person Modrow was one of the people who didn’t follow that politics of exclusion. Let’s go back to the time when you joined IAMCR. Yes. It was connected with the wish of IAMCR’s founders to make the organization really international. These people were not very usual even for that time. They wanted to reunite the East and the West. Therefore, they made prohibitions. For example, countries which were to closely connected with NATO or the Warsaw Pact shouldn’t be in IAMCR’s leadership. The organization was about professional journalism which is independent of non-journalistic influences. How would you describe your relationships to Western colleagues? I was very friendly with Jacques Léauté. I went to France practically every year, often even twice a year. 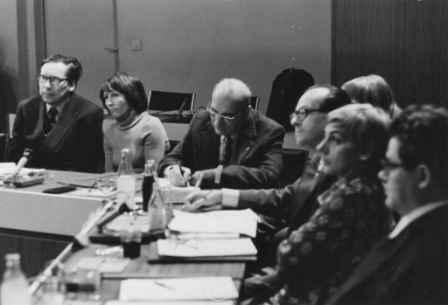 There were the meetings of the Strasbourg Centre’s administrative council. I participated in defining the editorial policy and the agenda of conferences. I was one of the council’s active members. Another one was Martin Löffler from West Germany, for example. He was a lawyer too. He was also a member of the Christian Democratic Party but very broad thinking and supporting the idea of including all European countries into this body. In many cases we agreed on various subjects. Herb Schiller became my personal friend. I visited him in San Diego, California, and met him in Moscow many times. He was a hard-working researcher. After the war, he was an officer at the American administration in Berlin. Therefore, he was very knowledgeable in international problems. According to the files in Leipzig’s university archive, the socialist countries coordinated their actions in IAMCR’s various arenas (cf. Meyen, 2014, 2016). There seemed to be a lot of preparation meetings in Moscow, Leipzig, and Rostock. Do you still remember why speaking with a single voice was so important for you? We had those meetings, yes. I think the main reason was to coordinate pedagogical activities. We didn’t have any special ideological aims. In IAMCR meetings, we had people from various political fractions. Sometimes, I was more with Herb Schiller and his group. Again according to the Leipzig files, for example, there was a plan Kaarle Nordenstreng to become IAMCR president in 1972 (cf. Meyen, 2014). 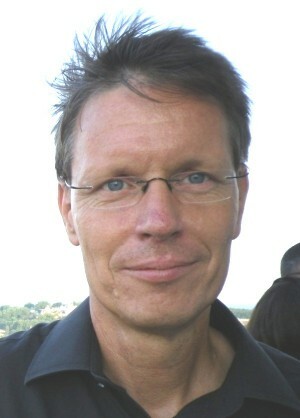 In Buenos Aires, Kaarle Nordenstreng became just a member of the IAMCR team. Back then, the main people were James Halloran and Jacques Bourquin who was a member of the international organization of press publishers, today’s World Association of Newspapers. In Emil Dusiska’s correspondence as IAMCR’s secretary-general is very little about academic quality but very much on ideology and balance between progressive and bourgeois forces (cf. Meyen, 2014). Looking back on those times: Was IAMCR just another place for the proxy-war between East and West? I wouldn’t say that. It was quite the contrary. We had contacts with every person who was interested in research. I had friends from the Catholic Church, for example. Our interest was in getting an association as broad as possible. In a way yes. We got people of various interests. Do you know Jörg Becker, for example? Yes, of course (cf. Becker, 2015). He was more radical but a member of the group. 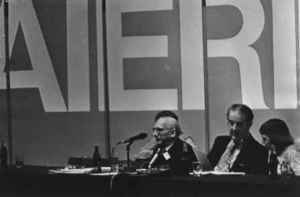 Why did you resign as IAMCR’s vice-president in 1988? Back then, there was a feeling in the organization that some people were in their positions for too long. I resigned immediately. I don’t think that changed IAMCR’s fate in any way. The organization’s decline did just start. My interest in IAMCR was to meet my colleagues and to discuss various problems. That was natural. When they started attacking us as a kind of group which was imposing its decisions on IAMCR, I didn’t want to stay there and resigned. In 2007, you became IAMCR honory member because of your efforts to bridge the political contradictions between then East and West. Did this award prove that you have been successful in the end? Maybe. I really tried to stop the Cold War mentality and I’m against it even now. This mentality is very much alive, especially perhaps in Russia and the United States. I think it’s counterproductive. I was never supportive of any confrontational tactics and activities. We were happy to have a group of really hard working professionals in the area of media research and journalism education. Is there anything that the socialist model of vocational training could contribute to today’s trials in that field? We were very close to the journalism practice. Practical training was one of the most important tools of our education. We insisted on the creative part of the journalistic profession. We were interested to have people reading newspapers and enjoying it. Some people are really glad to become 65 and to retire finally. Could you name, please, the stimulus that keeps you going? I don’t get more money or any other advantage. I’m just interested in journalism. It’s my devotion to education. IAMCR 1978 in Warsaw. Speaker: Werner Michaelis, Leipzig (source: private archive, Werner Michaelis). Who is Yassen Zassoursky: a scholar, a journalism teacher, the wanderer between East and West, Russia’s ambassador in the international community? What is the most important part of your academic life? I don’t think that any of those definitions you used is complete true. I agree with all the definitions. I think we did something to develop better mutual understanding in the world. Looking back on almost 60 years in journalism and communication studies: Is there anything you are especially proud of? I’m proud that I was one of those who participated in the creation of IAMCR and a big group of very sensible and tempted people who promoted high standards in both journalism and humanistic behaviour. Certainly. The devil is in the detail but I think that I was never working for any personal or group interest in the international arena. What will remain when Yassen Zassoursky is gone? What should remain if you could influence it? I would still like to promote better understanding among the countries of the world. There are so many conflicts which are provoked by the lack of knowledge and by the exaggerated role of national or group interests. Gorbatchev tried to change this attitude. He was instrumental in getting away the Cold War. Due to him I’m thinking broader and have a better understanding of the world’s future. 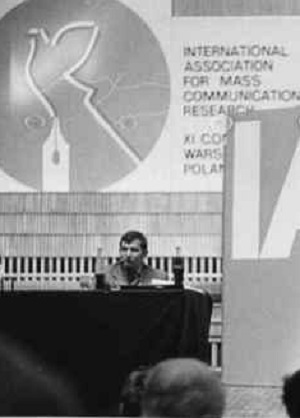 Michael Meyen: The IAMCR Story: Communication and Media Research in a Global Perspective. In: Peter Simonson, David W. Park (Eds. ): The International History of Communication Study. New York, London: Routledge 2016, S. 90-106. Kaarle Nordenstreng: Institutional networking: The story of the International Association for Media and Communication Research (IAMCR). In: Dave W. Park/Jeff Pooley (eds. ): The history of media and communication research: Contested memories. New York, NY: Peter Lang, pp. 225-248. Yassen Zassoursky: I Tried to Stop the Cold War Mentality. In: Michael Meyen/Thomas Wiedemann (Eds. ): Biografisches Lexikon der Kommunikationswissenschaft. Köln: Herbert von Halem 2018. http://blexkom.halemverlag.de/iamcr-zassoursky/ ‎(access date).